Spousal support is money paid by one spouse to the other after a divorce or separation. Generally, regardless of gender, the spouse with the higher income pays support to the spouse with the lower income. Spousal support is usually paid each month, but sometimes it can be paid in a “lump sum”. When a couple separate, whether one party is entitled to claim support from the other is a common concern. The purposes of spousal support are to recognize a spouse’s contributions to the relationship, share the costs of caring for a child and to relieve financial hardship. It also aims at correcting any economic advantage or disadvantage to a spouse owing to the relationship or breakdown of the relationship. Both married and unmarried (common-law) spouses may be able to get or pay spousal support. For common law spouses, the following factors must be considered. How do I Calculate Spousal Support? Spousal support can be calculated in various ways, however lawyers and judges make use of the Spousal Support Advisory Guidelines. This guide offers two formulas that determines the amount payable at a low, middle and high range. It also considers a concurrent child support obligation and whether or not the spouses have children. It cannot be used to decide entitlement. Where paid monthly, it is taxable for the spouse receiving support and tax deductible for the spouse paying support. Where paid in a lump sum, it is not taxable for the recipient and the payor cannot claim it as a tax deduction. This should not be confused with child support, where the parent who gets support is not taxed on the amount and the parent who pays support cannot deduct the payments from their taxable income. If you need help understanding your support rights or obligations, we are happy to assist you. 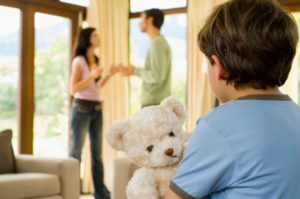 Please contact us to book an appointment with a family law lawyer.